The Remediation and Redevelopment Program provides monthly updates on the status of Petroleum Environmental Cleanup Fund Award (PECFA) claims and the overall PECFA budget. Below are the updated PECFA numbers for September 2018. Brownfields are former industrial and commercial properties that are now idle or underused, where the existence or possibility of environmental contamination is, at least in part, inhibiting redevelopment. They exist in every community. State grants and loans are available to help assess, investigate, and clean up these properties. The Wisconsin Economic Development Corporation (WEDC) offers two popular brownfield grant programs. Their Site Assessment Grant (SAG) Program helps communities conduct initial property research and data gathering activities on brownfield properties. Their Brownfields Grant Program funds environmental cleanup work. The WEDC recently announced an increase in SAG funding for FY19, to $1.5 million, and approved another allocation of $5 million for Brownfield Grants. They also significantly reduced the local government’s required match amount for rural communities to just 20% for SAG awards, and 50% for cleanup grants. In addition to the WEDC grants, the DNR offers environmental consultant services through the Wisconsin Assessment Monies (WAM) grant program with no local match required, and cleanup funding through the Ready for Reuse grant and loan program with 20% local match and 0% loans. The DNR and the WEDC work together to help communities address brownfield properties. Contact the DNR to set up a Green Team meeting to discuss your projects. The Fund for Lake Michigan is now accepting pre-proposals for its Fall 2018 grant period. Pre-Proposals are due on or before September 24, 2018. The proposals must be submitted through the Fund’s online grants management system. Invitations to submit full proposals will be sent out in October. The Fund for Lake Michigan is seeking projects that enhance the health of Lake Michigan and its tributaries through habitat restoration, pollutant reduction, stream restoration and improvements to coastal areas in Wisconsin. Grants are made only to 501(c)(3) nonprofit organizations and to governmental agencies. Geographically, Fund for Lake Michigan grants are targeted to the Lake Michigan shoreline, near shore areas and watersheds within the Lake Michigan basin in Wisconsin. The Fund for Lake Michigan will also consider a small number of grants outside the Lake Michigan watershed and within the Madison Gas and Electric’s service territory. Question about the program or the grant process can be directed to Casey Eggleson. Wisconsin’s coastal communities are encouraged to apply for grants from the Wisconsin Coastal Management Program (WCMP). The WCMP is currently accepting proposals to enhance, preserve, protect and restore resources within the coastal zone – counties adjacent to Lakes Superior and Michigan – and anticipates awarding up to $1.5 million. Applications for the WCMP grants are due November 2, 2018. Three workshops are planned in the coming days to discuss the grant application process and funding priorities. The WCMP Grants are available for coastal wetland protection and habitat restoration, nonpoint source pollution control, coastal resource and community planning, Great Lakes education, public access and historic preservation. Applicants are encouraged to contact WCMP staff early to discuss ideas for project proposals and application requirements. Application materials and the Request for Proposals are available on the WCMP website or if you have specific questions, you can call the WCMP at 608-267-7982. 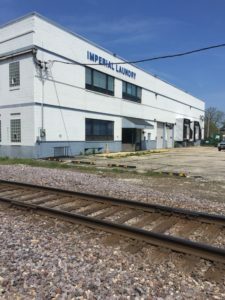 Efforts to assess possible contamination at a decades-old industrial site in Racine’s uptown area will get a boost with a recently issued brownfields grant from the Department of Natural Resources. The award comes from the DNR Wisconsin Assessment Monies (WAM) program, and will provide for contractor services worth approximately $20,000. The work will help the Redevelopment Authority of the City of Racine (RDA) assess possible contamination, leading to a potential cleanup and eventual reuse of the site. Racine assessed this brownfield site in the uptown area with help from a WAM award worth $20,000 in contractor services. The nearly one-acre site on 13th Street has a long history of various industrial uses. It was most recently the site of a laundry service for the health care and hospitality industries. Historic records from the Racine Fire Department indicate that a 500-gallon underground fuel oil tank was located on or near the property. With the RDA ready to promote the property, an investigation of the environmental conditions on the site will help put the group in a better position of securing a buyer and returning the site to productive economic status. Administered by the DNR Remediation and Redevelopment Program, WAM awards provide communities with professional environmental site assessments of properties with known or perceived contamination. The program is funded through a U.S. Environmental Protection Agency brownfields assessment grant. Participation in the WAM program requires minimal effort by local governments. Because there is no financial match or project administration involved, the program is an attractive opportunity for communities. In many instances, WAM awards are leveraged with other sources of funding to kick-start repurposing efforts on properties that may have been underutilized for many years. Applications can be submitted for WAM awards at any time. Properties eligible for funding include closed or closing manufacturing plants, or vacant land with a history of manufacturing. For more information, contact Tom Coogan at 608-267-7560 or Thomas.Coogan@wisconsin.gov. Join the DNR and Minnesota Brownfields on Aug. 1, 2018, in La Crosse, for a free, full-day workshop on writing successful EPA grant applications. Get the information you need to know to compete effectively for these funds, and get a head-start on your proposal for the fall grant opportunity. Wisconsin communities, and the DNR, have been awarded millions of dollars in brownfields grant funds by the EPA over the past decade. It is clearly possible to obtain these dollars, but your grant application package has to be very good to stand out and get funded. Tips and strategies from experts will be shared at this workshop. New federal legislation, referred to as the BUILD Act, makes changes to several aspects of brownfields law, including more clarity for local governments on how to obtain federal liability protections, and more flexibility in the EPA grant program. Learn about these changes and more. Who should attend? Local and regional government officials, not-for-profit economic and community development organizations, tribes, and any other entity interested in applying for federal grants to assist with the assessment, cleanup, and redevelopment of under-performing commercial and industrial properties in their community. More information about the workshop is available HERE, and a link to the registration form is available HERE (button near top-right of web page). We hope you can join us! In late 2013, the city of Wausau received $151,171 in Ready for Reuse grant funding through Wisconsin DNR’s 104(k) revolving loan fund grant for a cleanup at 1010 North 1st Street. The property, one in a string of parcels, was identified along the Wisconsin River as part of a comprehensive riverfront redevelopment strategy. Since then, extensive work along the river corridor has occurred with the goal of bringing business and public access to what was once underused riverfront property. The site’s history includes lumber production, manufacturing, scrap iron, and automobile parking and storage. The 3.9-acre property is one of six contiguous former industrial riverfront properties totaling 16 acres adjacent to the Wisconsin River that are planned for commercial, residential and/or recreational mixed use redevelopment known as the Riverfront Redevelopment Area.